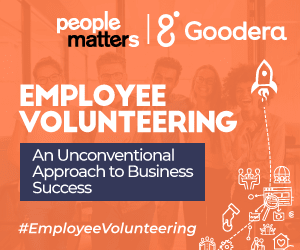 People Matters organized a two-hour workshop in association with Goodera to discuss the current volunteering trends and how can companies design better experiences. The workshop was divided into four sections, starting with Aditya Nagpal, Director & BU Head, Goodera discussing the different stages of volunteering and how companies can scale volunteer programs, followed by a case study by Svetlana Pinto, Country Head Communications & CSR, Novartis India on how Novartis is using volunteering for better employee engagement, learning, and alignment. The other half consisted of dividing the CHROs into groups to come up with solutions to challenges faced by organizations while building a volunteer program while the last few minutes were offered as reflecting time where they could identify the stage they are currently at and jot down actionable steps. He explained that companies go through five stages in their volunteering evolution. In the first stage, there is informal volunteering which is followed by the second stage where companies start supporting and encouraging them by launching initiatives. In the third stage, the company begins planning these initiatives strategically while in the next step, volunteering becomes a crucial part. 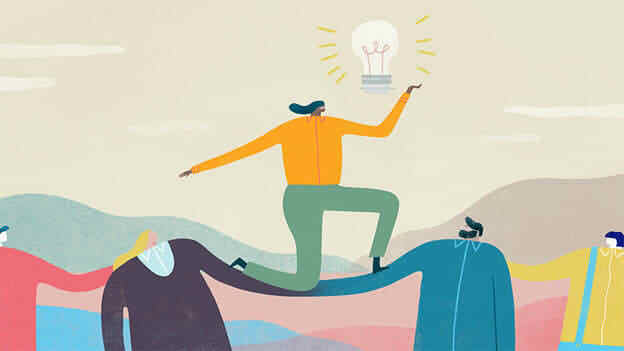 In the final stage, volunteering programs grow so big that they become a brand of their own. In the second half of the event, a masterclass and open discussion was conducted by Ester Martinez, CEO & Editor-in-Chief, People Matters Media on “Designing volunteering experiences for your workforce: Is your organization volunteering ready?” The four challenges that were addressed included, getting started, sustainability of employees, architecting a good experience, and policymaking. The overall solution to these problems seemed to be clear communication of values, better engagement of employees and a good reward and recognition program. The workshop ended with a hands-on session on identifying the current stage the company is in and finding the right solutions. The key learning that CHROs got from this section was understanding how to build a better framework and gather more employees to participate in volunteer programs.